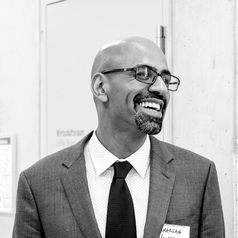 Zachariah Mampilly is Professor of Political Science, Africana Studies and International Studies at Vassar College. In 2012/2013, he was a Fulbright Visiting Professor at the University of Dar es Salaam, Tanzania. He is the author of Rebel Rulers: Insurgent Governance and Civilian Life during War (Cornell U. Press 2011) and (co-written with Adam Branch) Africa Uprising: Popular Protest and Political Change (Zed Press 2015).